Niantic is promoting the upcoming 3DS game with some summer clothes. Just in time for the holidays! 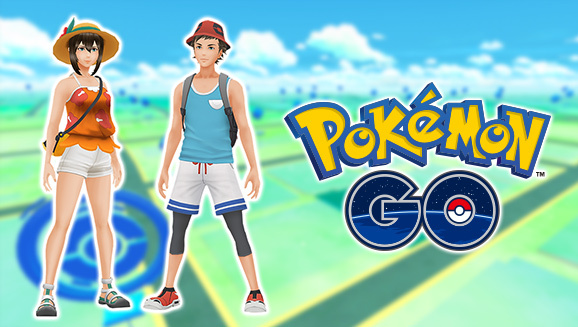 Niantic will promote the upcoming Pokémon Ultra Sun and Ultra Moon in Pokémon Go this week by offering players a free outfit for their trainers. To celebrate Friday's release of Ultra Sun and Ultra Moon, players in Pokémon Go can redeem free Alola outfits inspired by the Nintendo 3DS games. Women avatars will receive a sun hat, orange tank top, shorts, and sandals while men avatars can redeem a bucket hat, blue tank top, shorts with leggings, and sneakers. It should be noted that Niantic hasn't really collaborated with the Pokémon Company in the past, though there was a Mimikyu hat giveaway for Halloween. Considering how powerful the Pokémon brand is, and how popular both the core handheld games and Pokémon Go are, this partnership is probably going to be more common going forward. No word yet on whether Pokémon from Ultra Sun and Ultra Moon will be capturable in Pokémon Go, but considering the mobile phone game is still hovering around the Gen 2 Pokémon, I doubt that'll be possible anytime soon. Pokémon Ultra Sun and Ultra Moon come out for the Nintendo 3DS on November 17. Tagged with 3DS Handhelds,	News,	Niantic,	Pokemon,	Pokemon Sun and Moon.